All our periodicals on Motown can be found here. 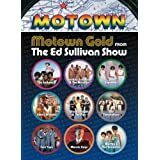 All of our books on Motown can be found here. A history of the legendary music label offers profiles of the artists, many from Detroit's inner-city projects, who achieved fame, detailing their rise to success, the inability of many to handle stardom, and their conflicts. "1960s Detroit was a city with a pulse: people were marching in step with Martin Luther King, Jr., dancing in the street with Martha and the Vandellas, facing off with city police. And through it all, Motown provided the beat. 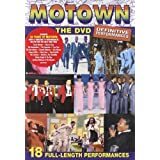 This book tells the story of Motown - as both musical style and entrepreneurial phenomenon - and of its intrinsic relationship to the politics and culture of Motor Town, USA."--Jacket. All our audio on Motown can be found here. All of our video on Motown can be found here. Follow the links to a list of archival collections and archival items of interest to the Motown researcher. A search of our online catalog by Motown artist name is also recommended.